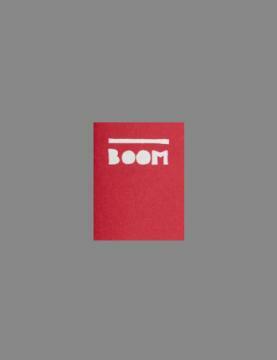 Irma Boom (1960) is an Amsterdam-based graphic designer specializing in book design. She worked for five years at the Dutch Government Publishing and Printing Office in The Hague. In 1991 she founded Irma Boom Office, which works nationally and internationally in both the cultural and commercial sectors for clients such as Rijksmuseum Amsterdam, Museum Boijmans Van Beuningen, Ferrari, Vitra International, NAi Publishers, United Nations and OMA/Rem Koolhaas. Since 1992 Boom has been a critic at Yale University in the USA and gives lectures and workshops worldwide. She taught at the Jan van Eyck Akademie in Maastricht from 1998-2000. She has been the recipient of many awards for her book designs and was the youngest-ever laureate to receive the prestigious Gutenberg prize for her body of work.